Boyd Contreras, APC is pleased to welcome Nicole E. Negron to the San Diego Family Law Division of the firm. Ms. Negron brings valuable experience in family law matters involving: dissolution and legal separation proceedings, child custody and visitation, child support, spousal support, paternity and marital settlement agreements. Ms. Negron is a member of the State Bar of California, the San Diego County Bar Association, including the Family Law Section and New Lawyers Division, and the United States District Court for the Southern District of California. Ms. Negron earned her Juris Doctorate from California Western School of Law, where she was the President of the Student Bar Association. During law school, she also volunteered her time with the Alternate Public Defender in the juvenile dependency department. Prior to joining Boyd Contreras APC, Ms. Negron was a Managing Associate at a family law firm in Mission Valley, CA. Fisher & Phillips LLP announced that it has developed a Smartphone and Tablet app that allows employers to calculate certain FMLA leaves of absence. The FMLA is a complicated law and FMLA leave calculations can be challenging for employers. This new app is a free tool provided to anyone to help them with basic FMLA leave requests. The app offers a user-friendly interface and works very simply, utilizing the rolling 12-month method measured backwards from the date of any FMLA leave. The Fisher & Phillips FMLA Leave app can be downloaded at the Apple App Store or Google Play. On the Apple App Store or Google Play, search for “Fisher & Phillips.” Fisher & Phillips attorneys and marketing professionals worked with developers at Saturno Design to create the new app. Fish & Richardson has won an appellate decision in a patent infringement case for Fresenius USA, Inc. and Fresenius Medical Care Holdings, Inc. against Baxter International and Baxter Healthcare Corporation regarding a patent for a hemodialysis machine. The U.S. Court of Appeals for the Federal Circuit, in a July 2, 2013 decision, held that federal trial and appellate courts are required by statute to dismiss pending patent cases if the U.S. Patent and Trademark Office (PTO) has cancelled the asserted claims through reexamination. Fish’s patent, trial and appellate practices enabled an integrated team of attorneys to seamlessly handle the case from trial through appeal and to initiate the parallel PTO proceedings. The Fish trial team representing Fresenius included Juanita Brooks, Michael Florey and Thomas Melsheimer; the Fish appellate team included Juanita Brooks, Michael Florey and John Dragseth. John Phillips filed the request for reexamination. Kilpatrick Townsend & Stockton announced that Ken Jenkins, Managing Partner of Kilpatrick Townsend’s San Diego office, was selected as a 2013 San Diego Super Lawyer. Dr. Jenkins was selected for Intellectual Property Law. Dr. Jenkins’ practice focuses on patent counseling and patent litigation, primarily in the health and life sciences and the oil and gas-petrochemicals industries. He routinely counsels biotechnology and pharmaceutical companies of all sizes in developing their patent claiming and filing strategies, procuring patents on cornerstone technologies, and strategically managing patent portfolios to maximize investments. Dr. Jenkins also counsels lenders and investors in assessing the value of patent assets through due diligence reviews, including validity analyses, freedom to operate analyses, and in-licensed technology investigations. In addition to patent counseling, he represents pharmaceutical companies in high-stakes patent litigations involving challenges under the Hatch-Waxman Act. Latham & Watkins LLP is representing Conatus Pharmaceuticals in its initial public offering. Conatus Pharmaceuticals Inc., a California-based biotechnology company, is focused on the development and commercialization of novel medicines to treat liver disease. Latham & Watkins LLP is advising Conatus in the offering with an attorney team led from the firm’s San Diego office by partner Cheston Larson with associates Matthew Bush and Christopher Geissinger. Advice has also been provided on intellectual property matters by partner Steven Chinowsky and associate Karmen Parhar in San Diego; on regulatory matters by partner Ben Haas and associate Elizabeth Richards in Washington, D.C.; on tax matters by partner Laurence Stein in Los Angeles; and on employee benefits matters by counsel Holly Bauer in San Diego and Michelle Khoury in Los Angeles. John Morrell, managing partner at Higgs Fletcher & Mack, a San Diego law firm since 1939, was named one of 20 “Men Who Make a Difference” by San Diego Metro Magazine. Morrell was selected based on his exceptional firm management that resulted in unprecedented growth, as well as the significant contributions hehas made in the community. Under Morrell’s leadership, Higgs Fletcher & Mack hired 23 attorneys in the last two years, seven of whom are females, and even through the economic downturn, the company has not had any professional layoffs since he became Chairman in 1997. Morrell has also taken a strategic approach to practice group expansion to now include Immigration & Nationality, Environmental Law, and Hotels, Restaurant & Tourism, which includes the fast-growing area of craft brewing. Through the firm, Morrell has spearheaded an initiative to match every staff contribution to the United Way dollar for dollar. He also has overseen their annual Diversity Scholarship program, an annual $10,000 grant to a minority or female law student enrolled at USD Law School, and this year has expanded its diversity giving to include California Western School of Law. The San Diego-based law firm of Seltzer Caplan McMahon Vitek has announced it has acquired The Trademark Group, a La Jolla-based law firm specializing in trademark protection and enforcement. Marnie Barnhorst, The Trademark Group founding attorney, joins SCMV as Of Counsel. Since its inception in 1997, The Trademark Group has built a highly regarded law practice, having handled nearly 10,000 domestic and international trademarks and executing thousands of trademark searches. The expanded practice will focus on trademark clearance, registration, and enforcement on a worldwide basis. The Trademark Group has relationships with foreign attorneys who assist with foreign filings in more than 120 countries, enabling SCMV to expand its existing trademark practice with additional strength in international trademark law. Shustak & Partners is proud to announce that George C. Miller was recently named as a Semi-Finalist for the San Diego Daily Transcript’s “Top Attorneys 2013” publication in the Corporate Litigation category. 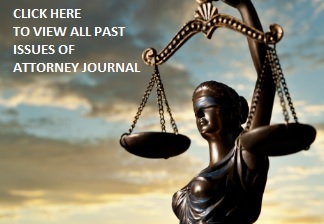 Through its “Top Attorneys” publication, The Transcript conducts a peer voting process to determine the best lawyers in private, corporate, academic and government practice in San Diego County. George’s practice focuses primarily on securities arbitrations, business and corporate litigation, employment litigation, contractual and real property disputes and judgment collection proceedings. George routinely appears before California state and federal courts and the Financial Industry Regulatory Authority (FINRA) Arbitration Division in litigations and arbitrations and has substantial trial experience. Mr. Miller was also recently named a 2013 “Rising Star” by International-Referral, one of the world’s largest exclusive networks of professional services organizations. The award recognizes the highest quality attorneys at both domestic and international law firms who represent the future of the international legal community.